I come from a family of nature and art lovers. My mom loves horses and taking pictures of wildlife. My dad could spend all day snorkeling in the beautiful waters off the coast of Florida. My grandma has been known to hand draw personalized cards for my kids. So, when my Aunt Sharon talked about her frequent visits out to Cattail Marsh, I wasn’t surprised that she had fallen in love with the beautiful landscape tucked away in Tyrrell Park. But, she’s not just visiting. Sharon Rigsby has turned her love of nature into works of art and she’s hoping to share her passion with others in the community. 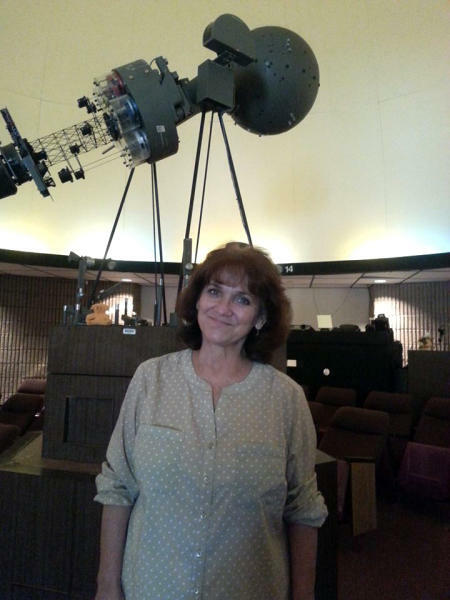 For her day job, Sharon is the Murray J. Frank Planetarium teacher for the Beaumont Independent School District. The goal at the planetarium is to “encourage the thoughtful, observing and curious scientists” in all of the students in Beaumont. She never stops teaching others about her passion of science and nature. 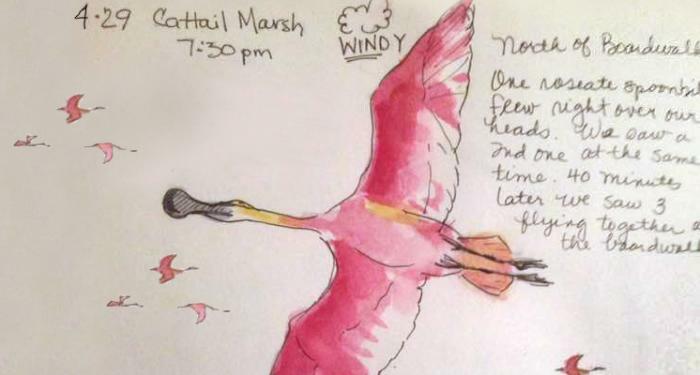 As soon as we started talking about her visits to Cattail Marsh, I learned something new. Cattail Marsh includes 900 acres of wetlands and is a wildlife refuge for more than 250 species of birds and other wildlife. 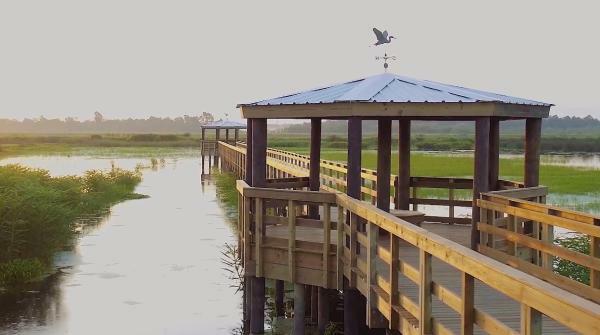 In the summer of 2016, a new boardwalk and viewing platforms were opened to provide new access and incredible views of the wetlands. 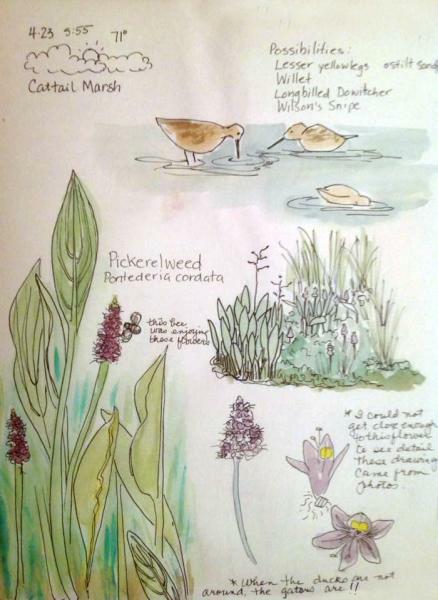 Sharon has been going out to Cattail Marsh and to other areas of Tyrrell Park for years to enjoy the outdoors but it wasn’t until recently that she started drawing out what she was seeing. Sharon spends relaxing afternoons sketching out beautiful drawings of birds, flowers, trees and even a gator or two. She says if you go by the simple system created by Laws, anyone can draw. I told her I would probably get overwhelmed looking out onto the marsh with all of the options of what to draw. I asked, “How do you even start?” Her advice was pretty simple. 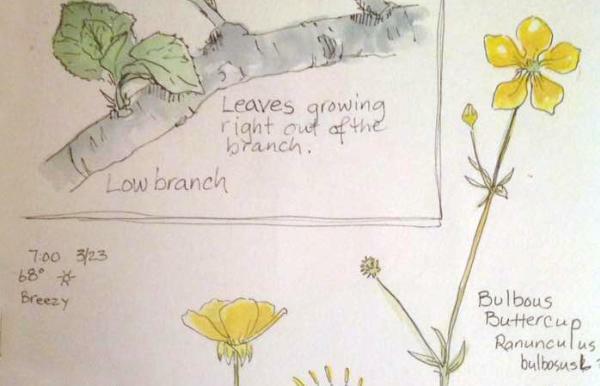 When nature journaling, you are also encouraged to record your observations and thoughts on what you see. 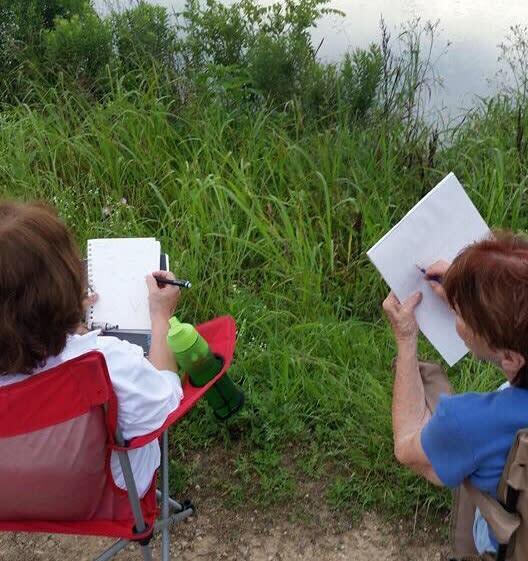 Nature journaling is also something she has used to connect and bond with her mother-in-law (my Grandma). Sharing hopes to get even more people interested in the beauty sitting right in our own backyard. Sharon started up a “Beaumont Nature Journal” group on Facebook. She hopes to one day hold regular meet ups and help others appreciate the outdoors in Beaumont. Check out the “Beaumont Nature Journal” group on Facebook for updates on meet ups and other happenings. 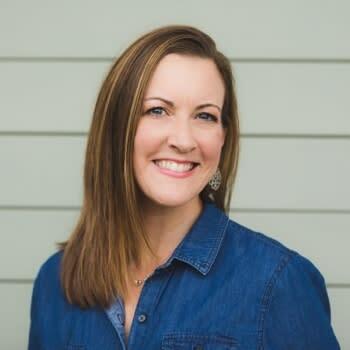 Andrea Slaydon is an Emmy award winning journalist who is proud to call Beaumont her hometown! A graduate from Lamar University, Andrea got her start in TV news at KBMT in Beaumont and went on to produce national news programs in cities across the country. She now contributes for magazines, businesses and other media outlets. In her free time, Andrea enjoys spending time with her family, running, hitting up thrift shops and pretending to know how to cook!